This topic contains 0 replies, has 1 voice, and was last updated by WillieeArmellini 4 months, 2 weeks ago. Under the patronage of Presidente Ivan Duque of Colombia and Minister-president Mark Rutte of The Netherland, Florius Flowers directors Bas Vloet and Julian Perez have signed an agreement with the Colombian Special Asset Company SAE for the long-term lease for a flower farm situated in Valley del Cauca, Colombia. 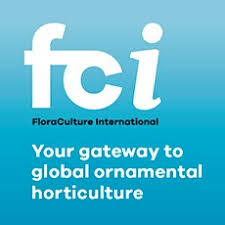 Florius Flowers has been active in the international floriculture industry for over 20 years and has been the market frontrunners in the breeding, production, and distribution of the Hypericum Coco Series and the Veronica Smart Series. Florius’ flowers are currently produced from six partner farms located in both Kenya and Ethiopia. Venturing into Colombia enables Florius Flowers to diversify its production regions and gain a more eco-friendly access into the North American cut-flower markets using sea transportation. 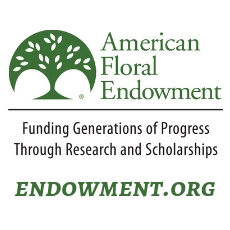 As a group, Florius Flowers has been researching the opportunities in South America for a period of over 7 years and has deliberately chosen the Colombian Coffee Region for its strategic location, climatological conditions, and for the great support they have received from the local, regional, and national governmental agencies to make their project happen. Florius would also like to extend their special thanks to the consultants and research partners of NS Del Tropico, Invest Pereira, Invest Pacific as well as the Dutch diplomatic mission in Bogota, who have followed them throughout the first phase of their Colombian journey. In order to achieve optimal results, Florius Flowers will be operating their post-harvest and flower processing out of the former Vanguardia newspaper factory in Pereira, which they will redesign into a state-of-the art cold chain facility specially designed for reefer container flower exports. Florius Flowers’ philosophy is “We grow flowers in balance with nature, people and society”. Staying true to their philosophy, only a minor portion of their lands are used for active crop production; the remainder is dedicated to long-term land rotation and nature conservation. In this way, they can help neutralize the long-term impact of flower production on the soil and water resources while still enabling them to grow year-round high-quality crops. Florius Flowers will be pioneering in Colombia by growing flowers outside of the main production areas of the Bogota Savanna and the Medellin Rionegro. By creating hundreds of new jobs, Florius will be supporting rural development in areas which have been historically challenging. Florius aims to hire up to 80% women in their team. In order to support working mothers, they will also provide child daycare. Florius Flowers’ farm, which is located within a scenic 2000ha valley suits their philosophy as it’s a place where they can combine flower production with wildlife conservation, forestry, and cattle farming for many decades to come. Similar with their partner farms, Florius Flowers aims to apply for the Rainforest Alliance certification. Florius Flowers’ goal is to have the first production of Hypericum Coco and Veronica Smart Series ready by July 2020 and will be predominantly aimed for the US markets. If you would like more information about this topic, please email Willum van den Hoogen at willum@floriusflowers.com (Dutch, English), Julian Perez at julian@floriusflowers.com (Spanish, English).